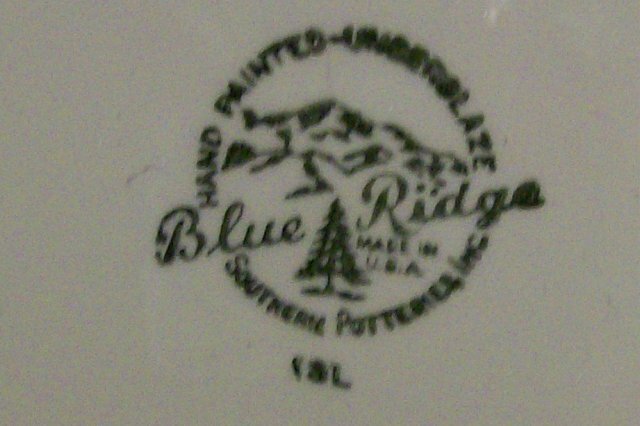 Square plate in the Blue Ridge "Strawberry Sundae" pattern, made by Southern Potteries Inc. of Erwin, Tennessee. Circa 1940's-50's. 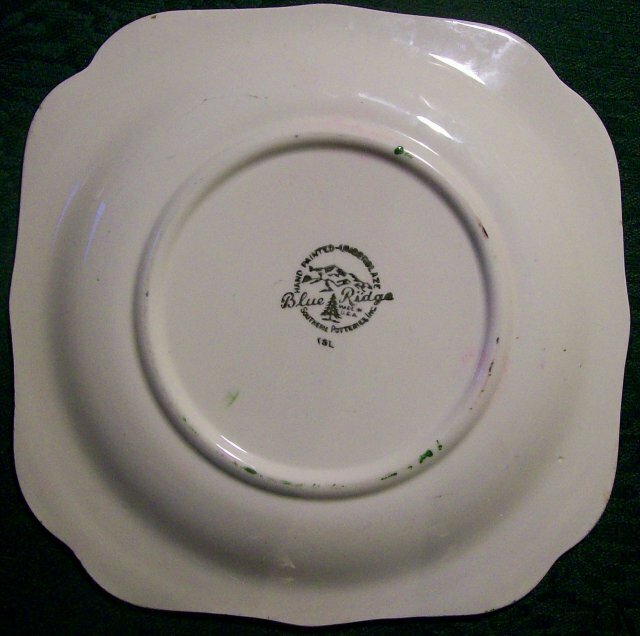 Measures 7.5"d. Has some utensil marks and a few rim flakes, most of which are factory flaws that were glazed over. Sold as is. Inglenook Antiques...Established 1989. 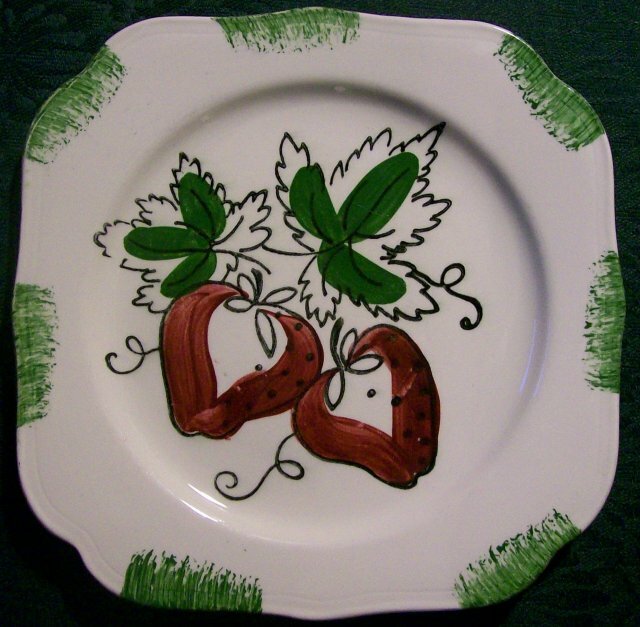 Items Similar To "Blue Ridge "Strawberry Sundae" Square Ceramic Plate 7.5"D"